The Scoop: Business is a very messy… well, business. Sometimes, greed can be a very unhealthy thing. And if we wanted more from our games, game publishers will also want more of our money. Here are some of the video game publishers that made a fool of their fans. As the days go by, every move you make in the games costs you. Although it is understandable that developers earn a living for making games, there is such a thing as boundaries. However, either that these video game publishers are so full of themselves or that they are really blind in being considerate to their fans, you can clearly see them duping us. Some are even going to such lengths as limiting the whole base game for people to buy more. This is good for business, yes, but bad in earning loyal and customer trust. Along the way, some of them learned the error of their ways and made up for it while the others, not so much. Check out the video game developers that made a fool out of their fans. Activision really did it with this one. By poking at people’s nostalgia, they took advantage of it by injecting the game with loads of microtransactions. As if that is not enough, they also decided to sell the old downloadable content of the game. Normally, remastered games include all the downloadable content but apparently not this remastered game. Reselling the DLC doesn’t seem enough, maybe, because the company seemed to want more by adding $5 more to the DLC. Who would have thought trips down the memory lane could be so expensive? Who doesn’t want to play dollhouses with living(at least digitally) dolls? The Sims is a well-beloved game and even I am crazy for this game. However, this could be better if only EA stops limiting the objects in the game and cramming them in a DLC for people to buy. Sims 3 has been a silent wallet killer with all the stuff packs and expansion packs. However, now that Sims 4 is out, cash grabbing is becoming more apparent by offering a spacious base game waiting to be filled with costly expansion and stuff packs. Capcom did a bad move on this one. It is expecting that you get the full game when you buy an on-disc game for the full price. However, that doesn’t seem to be the case in Capcom’s Street Fighter X Tekken. It turns out that Capcom had placed a price tag to unlock the other half of the playable characters that are already available on the disc. Although the company tried to make up something after being caught, they ended up with an excuse that shows they are doing players a favor by solving the “disk space” dilemma. Riiiiiiiight. 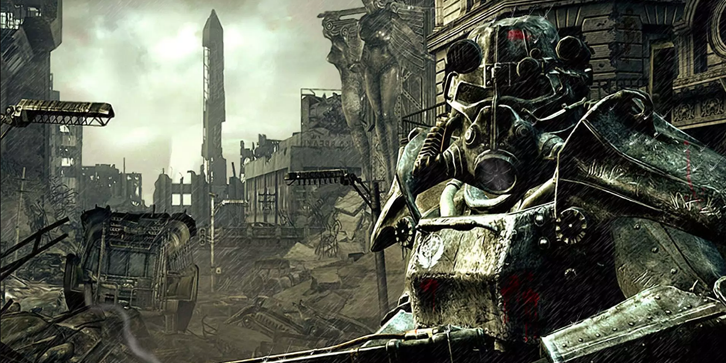 Bethesda has been known to somehow mess up the endings of their games that lead to changes. However, in Fallout 3, it seems that this is the part where gamers and fans draw the line. You have spent countless of hours in getting to the ending only to be killed at the end. Purchasing a DLC will give you a chance to be “reborn.” The game is giving you the opportunity to be able to explore the place that you seemed to miss while you are plunging your way through the game’s main storyline. It is understandable that companies need the money to be able to keep on running and to service their customers. However, these big companies sometimes think that they are already the most beloved game company that they can bend the people to their will. One of the important components of having a business is the customers. Therefore, it is only right for companies to respect them and see them as the smart people that they are and not just some cash cow that they can harvest when they want to. So what about you? What do you think? Like more scoops of tech and game? Check us out! Note: The purpose of this article is to make people aware that sometimes video game publishers can cross the line in a haze of too much fame. These incidents would serve as a lesson to future game publishers to respect and serve their customers rightfully.